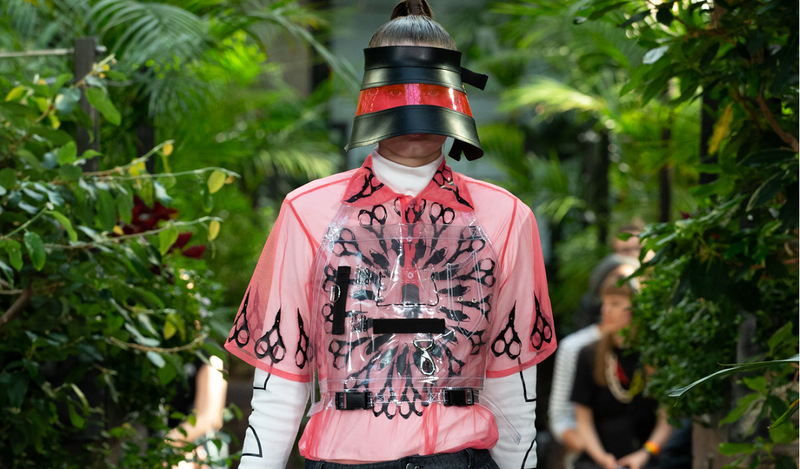 On Friday 1 June, fifteen carefully selected fashion design and fashion textiles student collections were presented to the industry and media in the iconic Barbican conservatory. The candidates were shortlisted by an industry panel of judges including fashion designers, Daniel W. Fletcher and Louise Gray; Holly Fraser, Editor at Hunger; Peghah Maleknejad, Fashion Editor at AnOther Man; and Lune Kuipers, Junior Fashion Editor at Wallpaper Magazine. Professor Gareth Williams, Head of the Department of Design, explained the importance of the University’s creative roots and its continuing commitment to cultivating innovation. “Our graduating students come from a venerable lineage of fashion designers trained at Middlesex who have played significant roles in shaping the fashion industry in London and globally,” he said. “We believe all design practices should be outward facing, inclusive, imaginative and dynamic: we train designers who can address real world situations face-on but who are eager to challenge the status quo. Martine Rose, highly acclaimed menswear designer. Philip Clarke, Director of Programmes, celebrated the strength of the teaching and opportunities experienced by MDX fashion students. 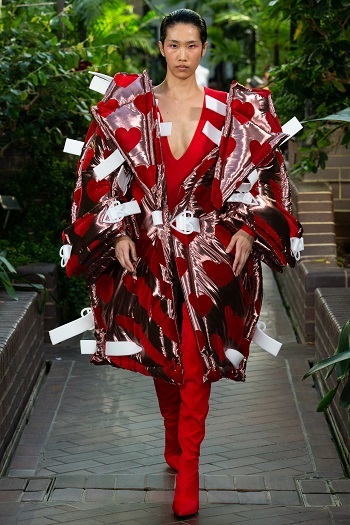 "We deliver programmes of study that are wholly relevant and appropriate to contemporary fashion industry standards, striking a balance between commercial viability and unashamed experimentation,” he said. “Our students represent the best of London's emerging talent. At Middlesex, we encourage students to challenge preconceptions of identity and develop original approaches to both garment and textile construction. “Our state of the art facilities, and the support of our enthusiastic and committed teaching and technical staff, enable our students to excel in both skills and imagination."